The number of younger people finding themselves down on their luck and on the streets has increased sharply over the last few years. According to figures from the Danish National Centre for Social Research (SFI), the number of young homeless in Denmark has shot up by 76 percent since 2009. 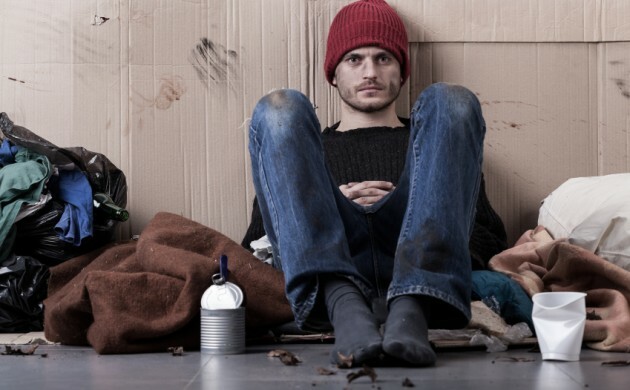 “Being homeless is a complicated matter that we cannot solve alone,” Jesper Christensen, the deputy mayor for social issues in Copenhagen, told DR Nyheder. The figures showed that there are about 2,000 young people aged 18-29 without a roof over their heads in Denmark. But fortunately, help is on the way. Eleven different parties, including Copenhagen Municipality and aid organisation Red Cross, have joined forces in an alliance launched today that aims to work on several aspects in order to help the young people. The alliance, dubbed ‘Hjem Til Alle Alliancen’ (A Home for Everyone Alliance’), is geared towards getting young people back on track by getting them into jobs, education and a social network. The other organisations part of the alliance are Bikubenfonden, Realdania, Helsefonden, Kommunernes Landsforening, KAB, Professionshøjskolen Metropol, Socialstyrelsen, SAND – De hjemløses landsorganisation and Falck.